In his last annual letter for the Bill and Melinda Gates Foundation, Bill Gates mentioned that someone can achieve “amazing progress if you set a clear goal”. Any financial decision you make should originate from a clear goal. For instance, you may have a goal to save enough money for a nice trip or to pay off a loan. Having that clear goal will help you set a strong path toward reaching that goal. Another piece of advice Gates has given is to make the most of what you’ve been given. Sometimes things may seem difficult, but you always need to make the most of any situation. You may have a lot of debt to climb out of, but your financial situation could always be worse. Or, on the other hand, you might be unhappy that you can’t buy a new car and put a down payment on a house, but you could be in a financial situation where either of those aren’t feasible. Gates has gone on record as saying that success doesn’t happen immediately and that no one can make millions overnight. No matter what financial problem you’re dealing with, it’s important to remember to persevere. Paying off debt, saving for a big ticket item, or just setting and following a budget is something that requires willpower. In many of his interviews and speeches, Gates has also said that you can’t turn away from a challenge if you wish to reach success. Your financial road may seem challenging when you’re running low on money and need to pay a couple bills, but you shouldn’t let that freak you out. There are other options to help you get back on track such as getting a second job, selling some of your things, or figuring out where you can cut your expenses. 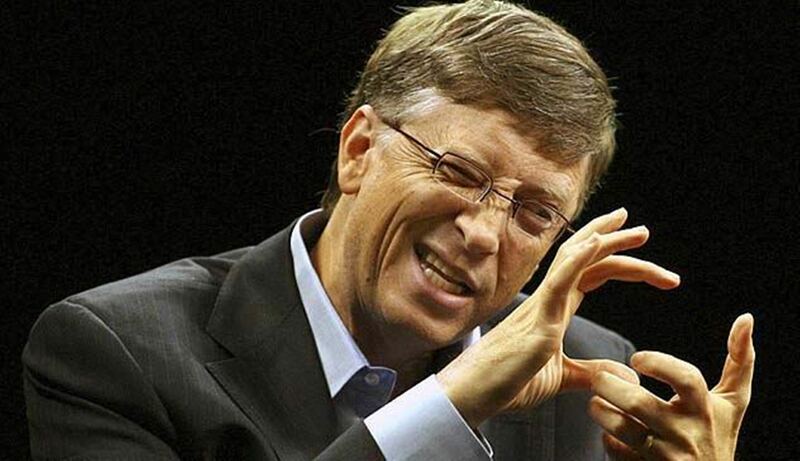 Gates has also said that “Success is a lousy teacher. It seduces smart people into thinking they can’t lose”, which is something that everyone should keep in mind no matter the situation. Most people have had financial successes and difficulties, but it’s important to remember to learn from the losses and difficulties. It’s easy to remember successes and the easy path and but the difficulties behind you, but instead you should remember your losses and difficulties in order to prevent them from occurring again in the future. Another tip Gates has given is encouraging people to follow their passion as that’s the thing that’s most likely to lead them to success down the road. As he states, sometimes doing something you love may not make you rich immediately, but it may inspire you to become ambitious enough to follow that passion until you’re successful. This might mean taking out loans and taking financial risks to support yourself as you follow a passion whether it’s attending college or opening your own business or owning a home. When talking about his own financial mentor, Warren Buffett, Gates mentioned that a key piece of advice he’s been given is to keep things simple. There’s no need to unnecessarily complicate your finances or budgets. Having a simple, yet sturdy plan is not only easier to follow, but it will save you the headache of trying to micromanage or multitask too many different options. For instance, instead of trying to create a complicate budgeting and savings system, consider having a small percentage of your weekly pay automatically sent to a different bank account. That way you’re saving money without actually putting in too much effort. Gates has always recommended listening to the good advice you’re given regardless of circumstance or your situation. Good advice can help you figure out equally good solutions to your problems. For instance, someone you know may also have experienced debt or a hard financial situation and may be able to offer you advice that helped them. Or another person may be an expert in investments and loan and may be able to guide you toward making the right choices. As an important figure in the technology industry, it’s no surprise that Gates considers gathering and using information to your advantage as an important skill. This is a piece of advice that should always be applied to your financial situation. Before you purchase a big ticket item, you should research comparable brands. Before you sign up for a credit card, you should make sure you know what else is out there or what’s written in the fine print. Lastly, Gates mentions that the key to any success is having a strong strategy. No matter whether you’re trying to obtain a loan or save money for a big purchase, you need a strong strategy to help you get there. While attacking a problem on an impulsive whim may work on occasion, having a strong strategy or plan behind you is a surefire way to keep your situation stable and prosperous. Finally, if you want to learn more about how Bill Gates is successful, consider reading his book Business @ the Speed of Thought: Succeeding in the Digital Economy . Seeing how Gates thinks about future trends can shed light on how he became successful. So, the book is a good starting place if you want to understand his views on business and money.